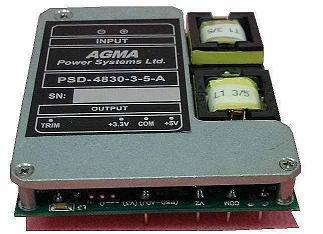 AGMA's Series of high density DC-to-DC converters are designed for use in telecom, AC-DC power systems, and other distributed power applications. 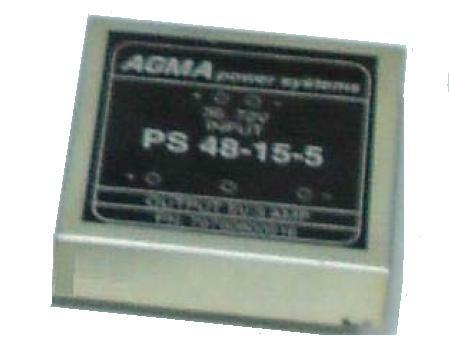 Our Series produce up to 40 Watts with multiple outputs in small packages. Other configuration are available, contact us for more information. 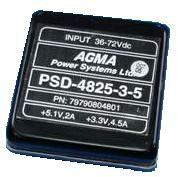 PS-XX30–X-X-A SERIES - Data sheet (PDF) - The document is being revised. Contact us for information.